Tomar is a certified Life Purpose, Career, and Creativity Coach, writer, speaker, photographer, and artist. 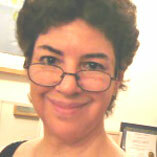 Tomar Levine has a varied background: She was an exhibiting artist in New York City for almost twenty years and lectured on art in museums and galleries for ten of those years, She left the art world to become a holistic psychotherapist and healer, and has two masters degrees – in fine art and art therapy, as well as numerous certifications in healing modalities. I'm a late bloomer and a midlife bloomer, someone who only started fully blooming in the second half of life. That is why I am so passionate about helping other women bloom later in life. Because really, there is no age limit to what I mean by blooming. My concept of late blooming has changed over the years. I no longer think of it merely as a chronological delay according to the expected “norm.” Not only are there many people whose “normal” follows a different pattern, but the patterns are changing in our society as a whole. Adolescence is extended, marriages happen later, women have their first babies in their forties! What is normal now? My definition of late blooming has changed, as I said. Now what I mean is the feeling that there is something inside us that wants to bloom but hasn't yet; the desire, that so many of us have, to give birth to something, to bring something forth from our soul that we've not yet been able to birth. To me a late bloomer is anyone who feels that they still have not fully bloomed or expressed what is in them, done what they are here to do, what they can imagine doing – and it hurts! If it doesn't hurt, then it doesn't matter. It's the pressure from within, the knowing that there is more that we're capable of and that we long for, and the frustration of not knowing how to bring it out, that causes the suffering. And that suffering doesn't start until a certain time in one's life. Mid to late thirties is usually the earliest it shows up, but it grows much more intense as the years pass. Sometimes it's not until midlife that one has the breathing space to even notice what's missing from your life. Before then you may be too caught up in the necessities of raising children and earning a living. But often there comes a moment of crisis or a midlife transition that opens the space for soul-searching. When the children have moved out (and sometimes the husband has too) there's an empty space left that needs to be filled, and one's identity is also turned upside down. It is often at moments like these that a woman will start to wonder about the meaning of her life, will wonder: Who am I? Who can I be? Is it too late to bring greater meaning and aliveness into my life? After getting over the shock of change, and perhaps some depression as well, a woman may rally and wonder: Now that I am free, now that I do not have to take care of everyone else's needs, what do I want to do with my “one precious life?” (to quote Mary Oliver). And it is at these moments that the closed bud within her soul will start to open and let her know that there is more to do, more to be, that it is time to bloom. Is this your time to bloom? Are you ready to start fully blooming? Free 3-part series - Blooming at MidLife offered by Midlife Empowerment Coach, Tomar Levine.